Fund Transfer Number – starts with TR and the number sequence which is default every time you make a transfer. Transfer Date – this is the date of the transfer which is always default to the date you have entered the money transfer. 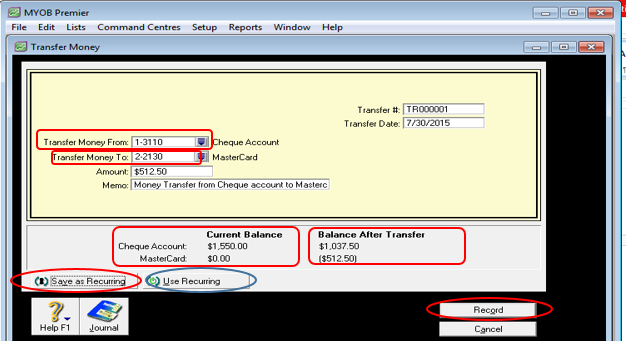 However, take note that if you have entered the money transfer in July 30, 2015, but the money transfer have been made on July 17, 2015, then you have to change the transfer date from July 30, 205, .which is default in MYOB to July 17, 2015. 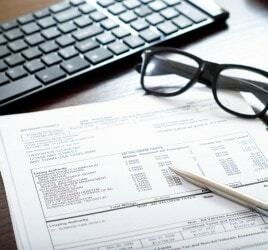 Amount – of course, this is the amount of funds being transferred between the internal accounts. Memo – use this field to indicate the purpose of the transfer. 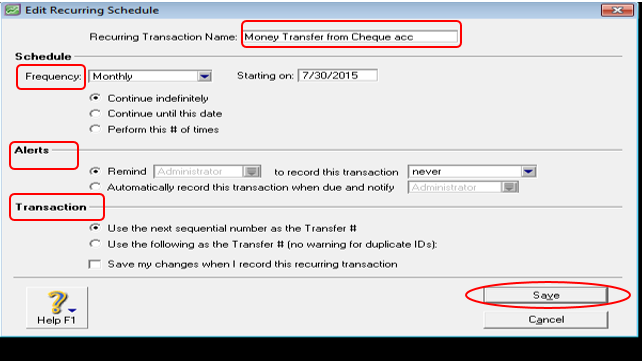 In MYOB, Memo is default to “Money Transfer” so you can opt to continue like “Money Transfer from Cheque Account to MasterCard for credit card payment”. 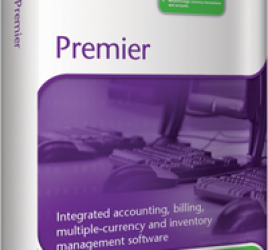 When the entries to the required fields are correct, you can now click on Record to save the money transfer. Also on the bottom portion of the Transfer Money window showing the Current Balance which shows the Current Balance before the Money Transfer is made and Balance After Transfer which would be the balance after the money transfer transaction is saved. After you have indicate the necessary Frequency, Alerts and Transaction settings for the recurring frequency and duration, click on Save to record the recurring money transfer transaction. You also have the option to record the money transfer using Transaction Journal but Transfer Money is the most efficient and convenient way to record transfers between internal bank accounts.